I don’t have to tell you that video is all the rage; I’m sure you’ve already gathered that. What I can tell you from first-hand experience, however, is that out of all the teams in your company, there is no more powerful combination than video and your sales team. Using video in every stage in the sales process is important, but one of the most important during "Connect." It's the initial interaction a prospect has with your company and sets the first impression of you and your team. At IMPACT, it’s my job to connect with people who not only reach out directly wanting to learn more about our services, but also prospecting. In a nutshell, I handle all inbound leads. Since taking on this responsibility, I have embraced video with open arms, and encouraged our entire sales team to start using it in their day to day as well. So far, I've seen great results and also found that it makes interaction with leads more meaningful and time efficient -- which is why I want to share six ways you can effectively use video in the connect stage of your sales process. 1. Break the Ice "Face-to-Face"
The first thing I'd recommend adopting in your connect call process is opting for video calls as your first interaction with prospects. Now, I know you don't always have the option of video due to time constraints. In fact, in the instance that someone fills out a form for a consultation, I'd recommend quickly picking up the phone in no more than five minutes to connect with them. However, if you have the flexibility to schedule a time to speak at a later date, always suggest meeting via video. At IMPACT, for instance, website visitors have the option to book a time to speak on my calendar or schedule a meeting with me through Drift, at which point, a calendar invite is sent with my Zoom information for the future call to take place via video. Why does video for your connect calls make a difference? Well, for one thing, body language is huge. It allows you to pick up on certain behaviors and identify where someone is more engaged with what you're saying versus when you might have lost them. You're able to then tailor your conversation based on these reactions. Ultimately, video makes you appear more human. Sure, the person you're talking to knows you're a human on the other end of the phone line too but seeing someone via video can be as powerful as meeting someone in person. It establishes trust much quicker which allows your sales conversations to move much faster. 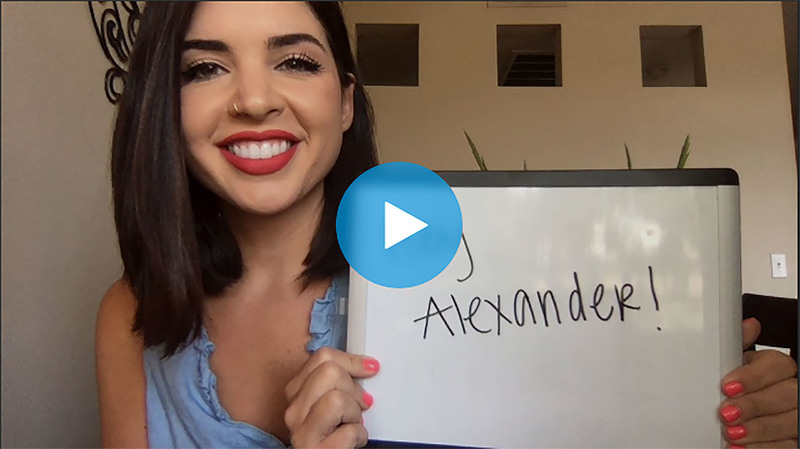 Whether you are prospecting or scheduling a connect call with an inbound lead, consider following up through a personalized video email. This is one of the greatest tips I can give in setting yourself apart from competitors. Typically within a follow-up email, I'll do a quick intro about who I am, and then bring up a pain point I know they are facing and offer advice or a tip on how to help begin solving for it. I recently completed the HubSpot Pipeline Generation Bootcamp with the incredible Dan Tyre, and let me tell you, it was life-changing. One of the areas we focused on was how to best utilize video to get a prospect's attention and getting a connect call scheduled. It's important that your first video interaction doesn't come across too sales-y, so Dan suggested you use your brief video time via email to show the prospect the value you can bring to them in a helpful way. This initial video should be where you provide some advice and quick wins for the prospect - based on the pain point they might be facing. This shows your expertise and value that you bring to the table so you can begin building the relationship with them. As an example, one of the tips Dan gave our cohort was to do a video screen share of the prospect's website (if you're a marketing agency, for instance) and point out a couple items that stand out, and some quick wins they can implement. Then, let them know about your company and why you are in the position to give them that advice. Another example is to pull up the prospect's LinkedIn. You have a limited amount of time to keep your lead's attention. With this approach, they'll see you have their page pulled up in the video thumbnail and be intrigued to watch and figure out why. It's best if you can accomplish all of this within a minute or less -- Yes, it's doable! Just keep it to the point and avoid filler words and fluff. Another way I like to make my videos stand out is by checking out the prospect's LinkedIn and finding something we have in common, or something I can mention, to show I took the time to learn a little bit about them. 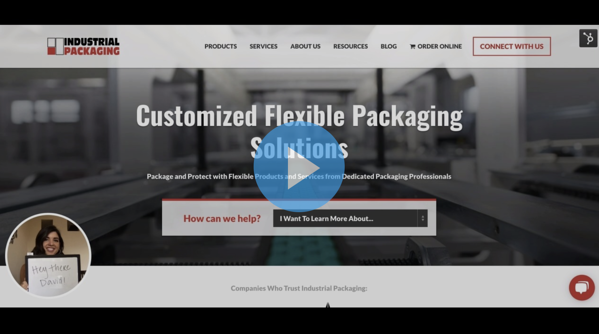 Lastly, do not forget to give them a call-to-action (CTA) in your video. You want to make it easy for them to book a meeting on your calendar directly. With Vidyard, Wistia, and other tools, you can include a CTA to ensure you make it a seamless next step. As you could see with my LinkedIn hack above, one way to really ensure someone watches your video is to make sure the thumbnail stands out. To accomplish this, I've also recently started incorporating a white board in my videos. This shows prospects that I'm not sending out a mass video to a list of contacts, but that I actually took the time to record a video just for them. On my white board, I tend to always put the prospect's name. That way they know right away the video was recorded specifically for them. More recently I've also been including a pain point with it, which shows them I know what they are facing and I'm probably about to talk about it in the video...so they should watch! You might be thinking...well, how do I fit all of that into a small white board space? I'd recommend getting a two-sided white board so that you can flip between between the two messages. This is perfect when you create a giphy with your video thumbnail so right away your lead can see both messages. If someone sees a video in an email they are very likely to watch it. In fact, an initial email with a video can see a click-through increase of up to 96%, but how do I get people to open the email in the first place? Getting people to open emails, especially when they are bombarded each day, is a science. It's something your marketing team probably tests quite frequently. That being said, there are also two methods I've personally been testing that have worked well for me. One of them I picked up by getting emails from Drift. They tend to not capitalize the first letter of the subject line so that it appears like this for example: "let's schedule a time to connect this week." It's a minuscule detail, but it stands out because, at first glance, since it's informal, you think it's coming from someone you might know, or it's an email that you feel you should be expecting. The second tip if I'm including a video in an email I always include [video] somewhere in the subject line. Simple as that. Sometimes people just need to know there's something to watch and they will! Being in sales, I'm sure you are no stranger to using LinkedIn to prospect. 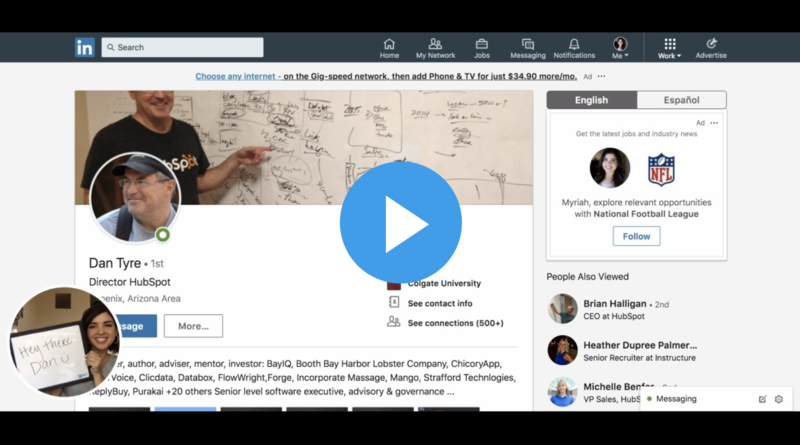 I've found that, if you aren't able to get through email, sending a connection request to someone on LinkedIn and including the video you recorded in the message if a great way to get noticed. Think about the number of messages you get on LinkedIn -- can you count the number of video messages you've received on both hands? Probably not. This tip will help you stand out significantly from the competition and brings even more meaning to the connection you're making. There are some fantastic video tools out there, but my personal favorite is Vidyard. Through Vidyard, I'm able to record directly in my browser, share my screen, and drop a video thumbnail right into emails. I also religiously visit my Vidyard dashboard to track analytics of how much of a video people are watching, and how many people are clicking through to my meeting link. Another awesome feature of Vidyard is the notification I get when someone watches a video. The first tip I'd give if you get one is pick up the phone and call them. You know they are probably at their computer, and that at that moment, you are top of mind. Another tip is to re-engage via email letting them know you noticed they watched the video and wanted to see if they had any questions. All-in-all, you want a video tool that is going to make it easy for you to send videos and track your efforts so you can continue to improve your video outreach. For me, this is Vidyard, but perhaps something else (i.e. Wisita, Biteable, etc.) will better fit your process! I would be lying to you if I said the first couple videos I sent ended in automatic connect calls on my calendar. Rather, it's something I've spent time testing and trying out in order to see what really stuck. It truly comes down to how you're able to make your outreach stand out initially, and how you can get the person watching your video intrigued enough to schedule a connect call with you. The great thing is you won't have to come up with new material to record these videos. You know your sales conversations, what people find valuable, common pain points and ways you can help. What will take a little work is figuring out how to capture it in a short video, that will resonate with your audience. Video can seem daunting, but it is probably one of the easiest things you can do to drive more business. It's an approach that is not only going to save you time from the mundane task of writing sales emails, but it will also be the thing that makes you stand out from your competition. These easy tips once implemented will have you on your way to effectively incorporating video in your prospecting and connect calls.